The PHCA was awarded a City of Pittsburgh Love Your Block grant to revitalize Maly Park, at the corner of Herron Avenue and Dobson Street. One of the requirements of the grant is that we need to bring out at least 20 volunteers. Please come out and help! Even if you can only work for an hour or two, that would be a big help. We’ll be at Maly Park at 10:00 a.m. 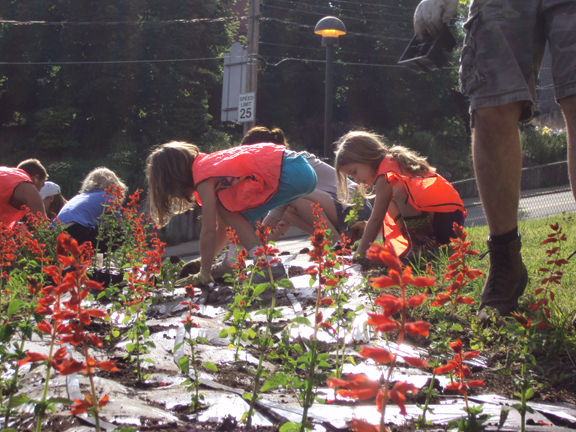 Since we hope to have a large group of volunteers this day, we’ll take the opportunity to also do some maintenance at the parklet at Melwood and Finland Street as well. If there are thunderstorms or lots of rain on May 16, we’ll postpone this volunteer day to May 30. For more info, email valerie@phcapgh.org. And while we’re on the topic of maintaining green space, here’s a reminder: The morning of Saturday May 16 is also the City of Pittsburgh’s spring yard waste pickup. Leave your bagged or bundled yard waste at the curb before 6:00 a.m. on Saturday morning. Here’s more information on what they will and won’t pick up. 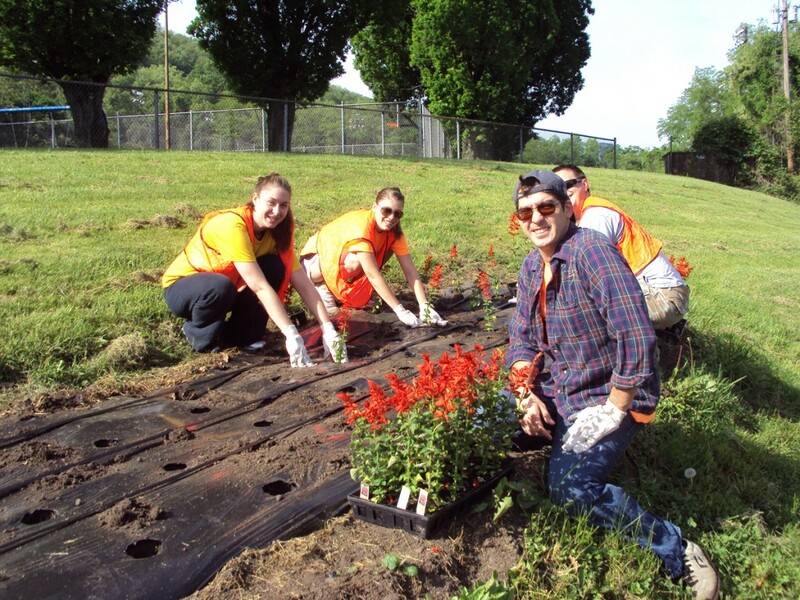 With springtime comes the season for green projects, and the need for volunteers to help clean up the neighborhood and maintain green spaces. 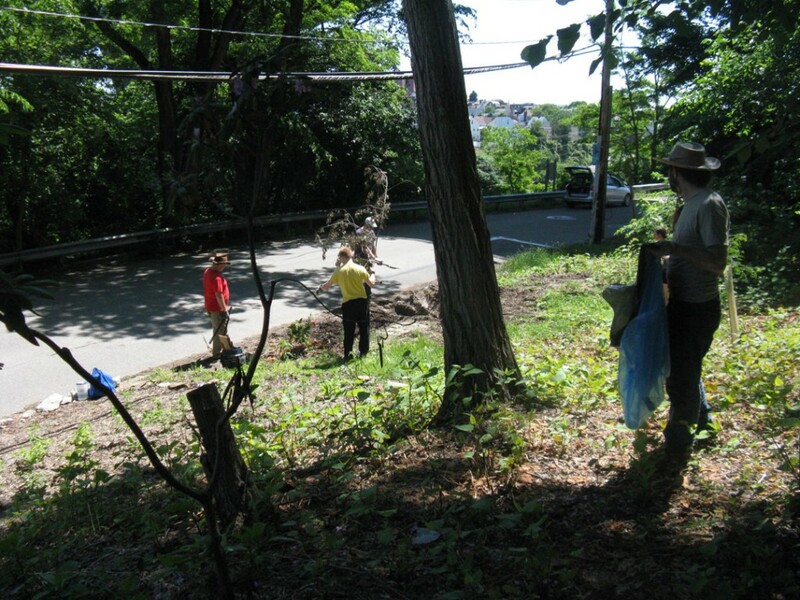 On Friday April 24, we’ll be helping Tree Pittsburgh plant 100 restoration trees at the reforestation site on Brereton Street just below 30th Street (this is where the goats were brought in to clear vines last year). A group of corporate volunteers will be coming to help, but it would be great to have some help from residents too. Meet at the site at 10:00 a.m.
And Saturday April 25 is the neighborhood clean up, part of the city-wide Redd Up / Earth Day event. 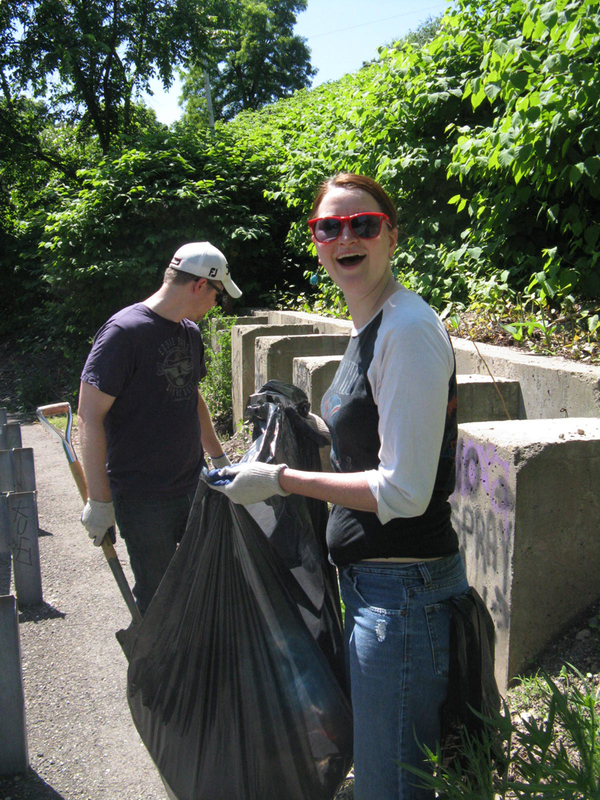 Meet at the PHCA office at 10:00 a.m. We’re also looking for people to lead volunteer teams to clean up different sites in the neighborhood. 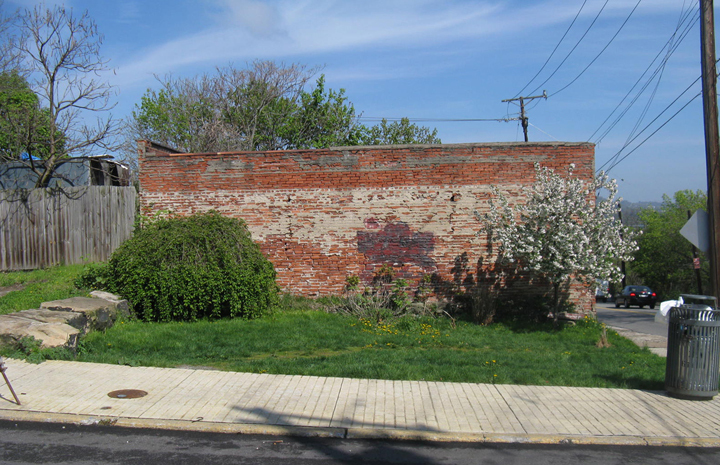 Further ahead, on May 16 there will be a workday at Maly Park, at the corner of Dobson Street and Herron Avenue. The PHCA won a grant from the City’s Love Your Block program to help fix up the park. 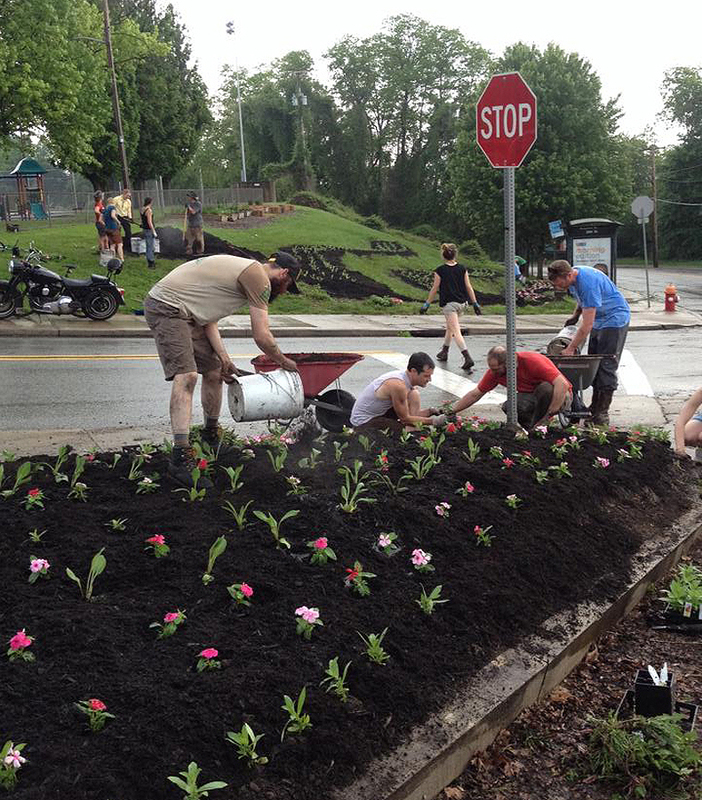 And on May 23, we’ll need help planting flowers in the beds at West Penn Park. 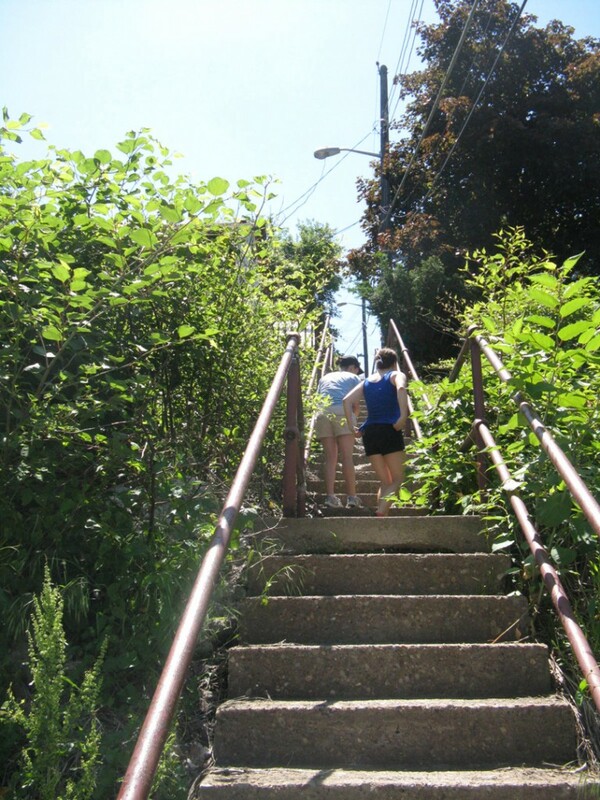 Starting in May, there will be weekly gardening sessions at the Edible Garden at West Penn, which raises produce which is donated to the Jubilee Pantry on Brereton Street. 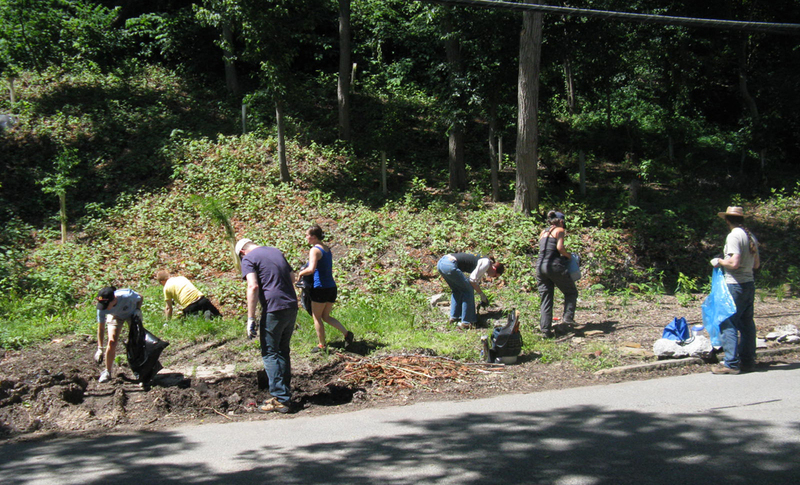 There will also be a monthly workday at the Knotweed project site on Melwood Avenue. 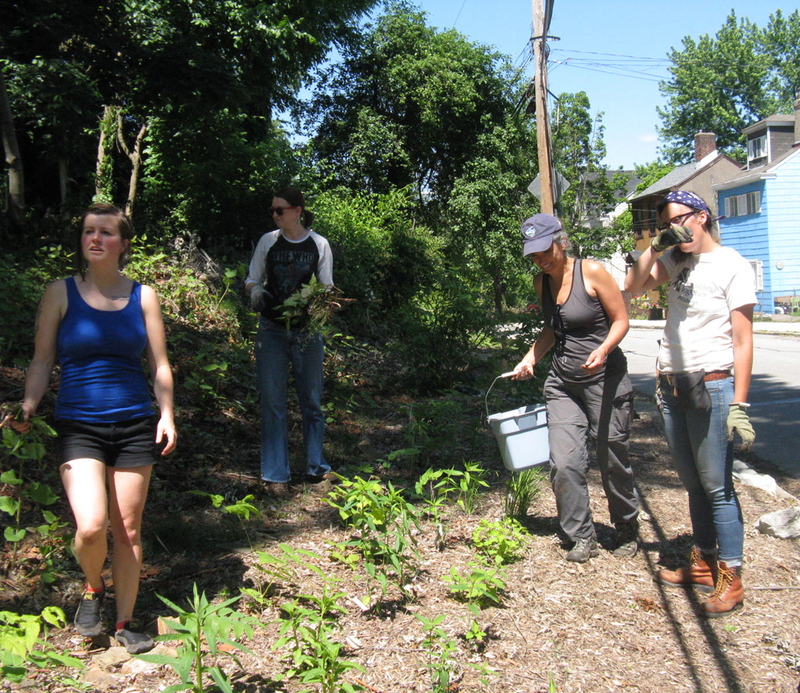 For more information on green projects volunteer events, email valerie@phcapgh.org. 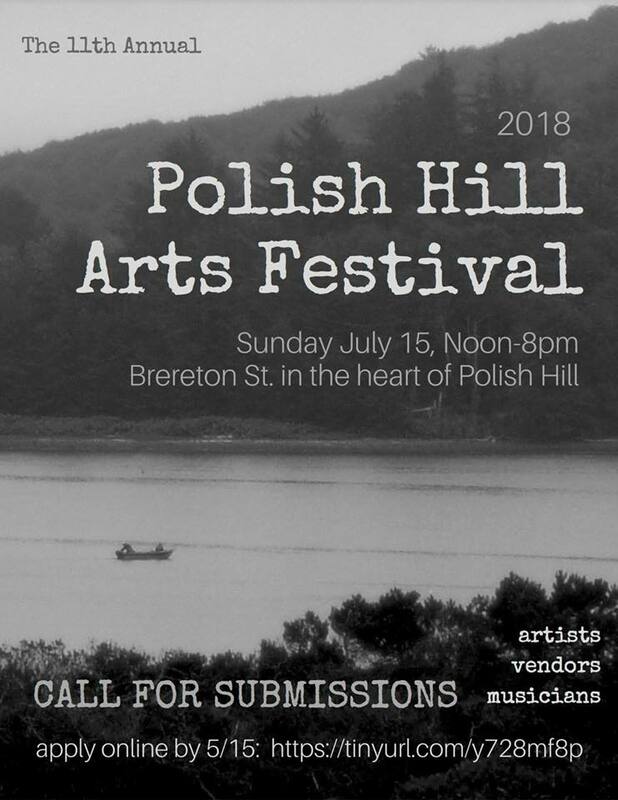 The eighth Polish Hill Arts Festival will take place on Sunday, July 19, and the application period is now open for people who wish to participate. 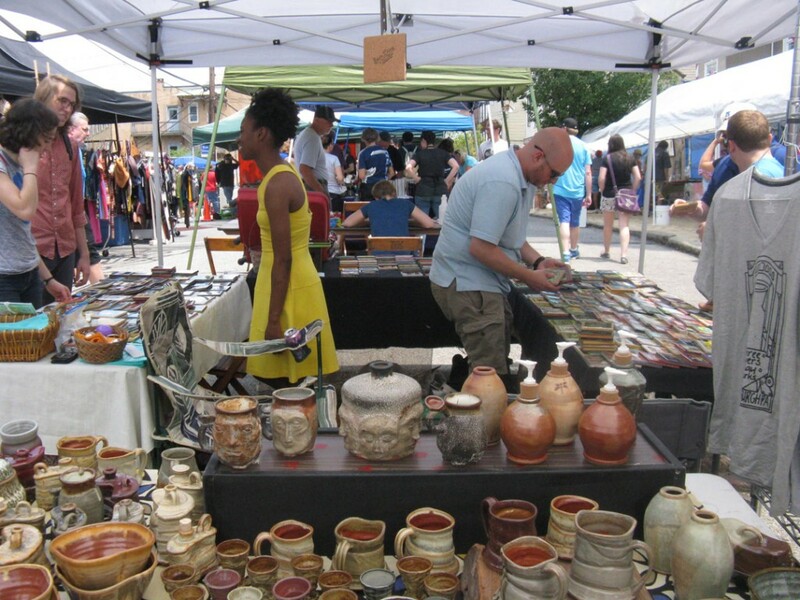 The festival includes artists and craft vendors, live music, food, and art and craft activities. This is quirky, less traditional sort of arts festival. It’s also an inclusive, family and kid-friendly event. For vending: fill out the application and either email or send to us. Be sure to read and save page 2, the information sheet. Email leslie@phcapgh.org, and include links to your music (preferred), or mail a CD. Artists or groups interested in presenting an activity or artwork should email leslie@phcapgh.org or send us a description of what you would like to do. 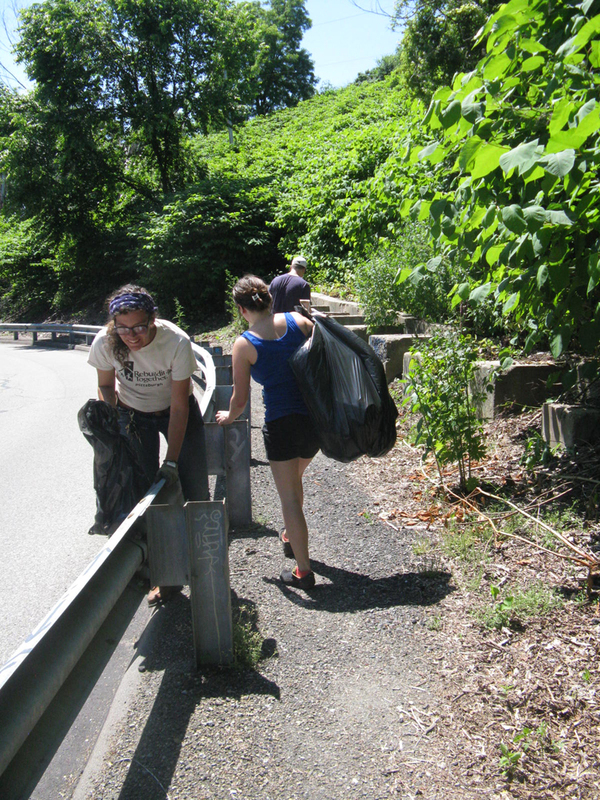 To volunteer or get more information: Call us at 412.681.1950 or email. Halloween plans — please join us! The PHCA has a couple of cool things planned for Halloween and we’re calling for residents to join us. Whether you are interested in helping with traffic calming efforts or just want a chance to show off a really great Halloween costume, we’ve got something for you. On Thursday, October 30, we’ll be participating in the Bloomfield Halloween parade leading a group of Polish Hill residents and friends and a brass band including Lungs Face Feet and members of the May Day Marching Band. This will be the third year we’ve participated in the parade and this year, we’d like to take an even bigger group to represent Polish Hill. If you have kids who would like to be in a parade, you and your friends or family have an idea for a fun costume, a float, a drill team, or if you just want to come along and help hand out candy, we’d love to have you there. It would be great to have Polish Hill really represent in the biggest and best nighttime parade in Pittsburgh! And on Friday, October 31 the PHCA will be doing a traffic calming event from 4:00 – 6:30 p.m. 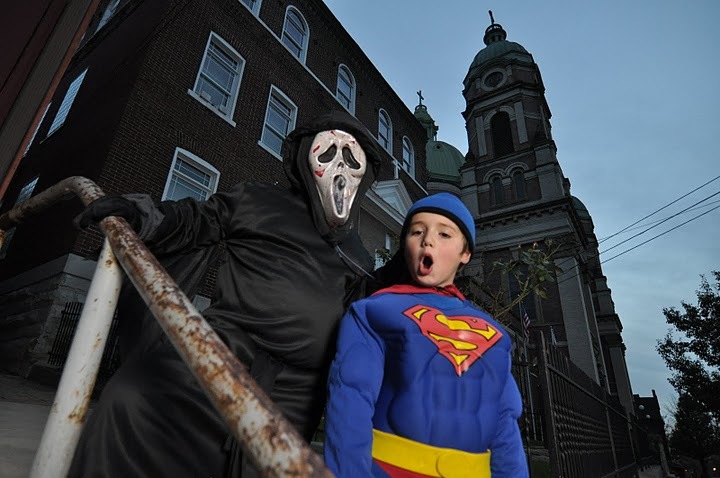 Volunteers will be handing out candy to safe drivers to remind them to slow down while passing through Polish Hill. Volunteers will be stationed at Melwood and Finland and (if enough people volunteer) on Dobson street, either at Herron Avenue or at Hancock street. We did this last year and got a really great response. There will be a meeting for traffic calming volunteers at the PHCA office on Monday, Oct 20 at 6:30 p.m.
For more information on either the parade or the traffic calming, call us at 412.681.1950, or email leslie@phcapgh.org. This November, the Melwood Screening Room (just outside of Polish Hill at 477 Melwood Ave. in Oakland) is once again hosting the annual Three Rivers Film Festival (3RFF) along with the Harris Theater (Downtown), the Regent Square Theater (Regent Square), and Waterworks Cinemas (in the Aspinwall/Fox Chapel area). The Festival, which is sponsored by Pittsburgh Filmmakers and Dollar Bank will run November 7 – 22 and, as in past years, will screen an amazing variety of films – independent American cinema, sneak peeks, new documentaries, restored classics, a competitive shorts program, critically-acclaimed international films, and the new concept micro-cinemas. There will also be a wide assortment of related activities like visiting filmmakers, informal discussions, live music events, and micro-cinemas, as well as Opening Night and Closing Night parties. 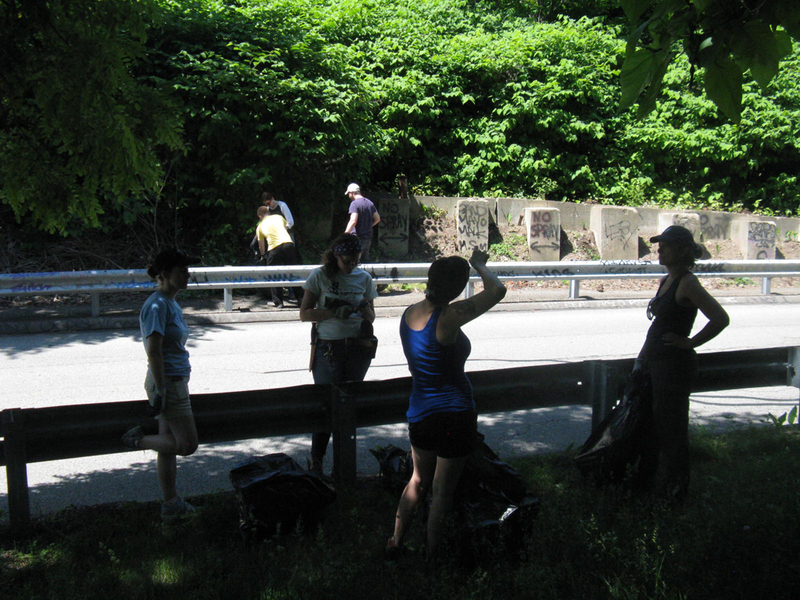 Pittsburgh Filmmakers is now looking for volunteers to help with the festival. If you’d like to be part of the Volunteer Committee or simply want to volunteer to help at the screenings in the theater of your choice, contact 3rffvolunteers@gmail.com. For updates on the festival, keep your eyes on future editions of this publication, check the festival website (3rff.com) from time to time, and “like” the festival on Facebook (3RFF). 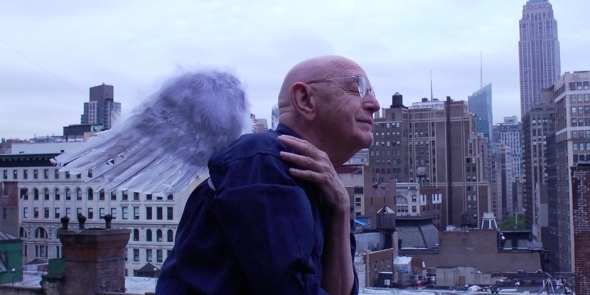 Above: still from Duane Michals: The Man Who Invented Himself (2013), screening on Tuesday, November 19. It’s that time of year again: time to turn the hillside below West Penn Park into a vibrant display of annual color. The Green Team needs help getting hundreds of these flowers in the ground. This relaxed volunteer event is kid friendly, and it’s a great way to meet neighbors. It’s also satisfying to watch the flowers you planted grow during the season. Volunteers should meet at 5:30 p.m. on the corner of 30th and Brereton streets. Gloves and tools will be provided. For more information, email valerie@phcapgh.org.